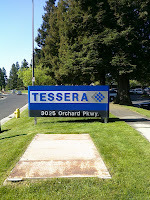 I attended Tessera Technologies' (TSRA) annual shareholder meeting today in San Jose, California. Tessera has acquired various companies and has about 470 employees, with many of them in Charlotte, North Carolina. About 25 people--but only two non-employees--attended the meeting. The company offered shareholders scones, coffee, juice, and various pastries. CEO Henry R. Nothhaft handled most of the meeting with Bernard J. Cassidy. Mr. Nothhaft introduced the board members, handled the formal portion of the meeting, and then adjourned. Since there were only two non-employees present, the company chose not to present a video; instead, the CEO agreed to talk with me and the other shareholder and answer our questions. CEO Nothhaft explained that his company's products go into most consumer electronics products, such as PCs, cell phones, and LCD televisions. Tessera has a semiconductor-related business and an Imaging and Optics business. On the semiconductor side, Tessera's technology connects the IC chip to the motherboard. It sounds simple, but consumer products are getting smaller every year, which means that motherboards and their components also have to become smaller. Tessera's problem is protecting its IP. As more products are made in Asia, the legal framework and culture isn't necessarily conducive to an American company collecting royalties through patent litigation. CEO Nothhaft talked about Tessera's "carrot licensing program," where the company offers incentives to work with Tessera and to pay royalties. Overall, however, Tessera wants to become part of the supply chain in Asia so it can get paid at the time someone uses or buys its products. CEO Nothhaft described the IP issue "like solving a puzzle." He says he wants Tessera to "compete in the domestic Chinese market" for consumer electronics. To that end, Tessera has hired CTO Robert Yung. It has also signed up three new licensees in the China for its imaging/optics products. China currently represents about 20% of the consumer electronics market, and its share of the market continues to grow. CEO Nothhaft also said that "incremental innovation occurs in the factory." He didn't expand on this concept, but I think he meant that outsourcing manufacturing and distribution may cut costs, but retaining domestic manufacturing allows a company greater protection over its IP and also allows it to work with employees to improve products. CEO Nothhaft said that Tessera "firmly believes in the patent system" and called the patent one of the "greatest job creation tools." He said he hopes that other Asian nations will emulate Japan and its gradual respect for IP rights. CEO Nothhaft seemed excited about Tessera's optics/imaging business, saying he foresees "rapid growth" in products that use enhancing images, "smart camera modules," and facial detection. Such features could be used for surveillance, in automobiles, gaming (e.g., gesture control, Wii), and toys (e.g., a toy could detect a smile and respond). If you read Tessera's s 10K, you will see numerous cases involving patent litigation. It seems as if a large chunk of Tessera's future revenue growth depends on its ability to navigate various Asian legal systems. Tessera's real value is in its 1900+ patents, but without a legal system in place to enforce those patents, one wonders how successful Tessera will be as more and more manufacturing is outsourced. Disclosure: I own an insignificant number of Tessera (TSRA) shares and do not anticipate buying more shares. I am starting to fully understand why Warren Buffett avoids technology companies. Even if a tech company has great products, there are so many other factors involved in getting that technology to generate a consistent revenue stream. 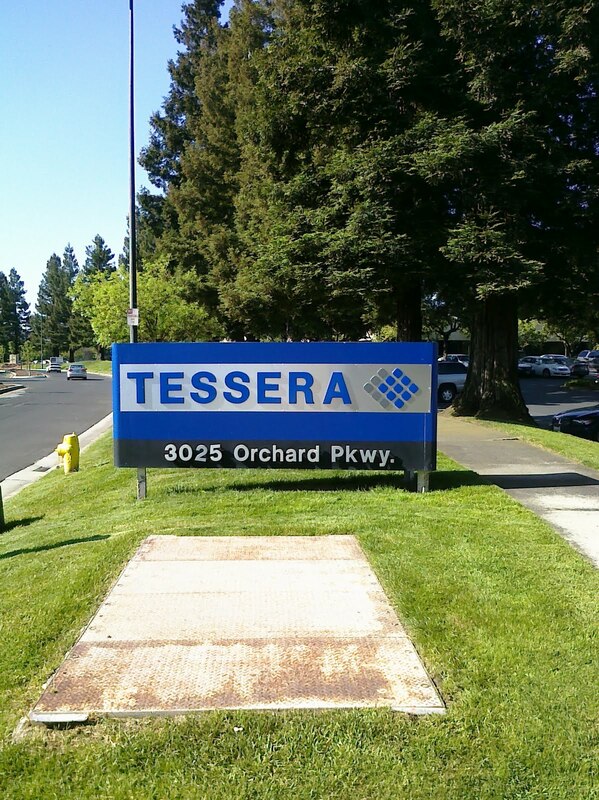 Note: regarding Tessera's unique name: in 1992, Tessera was renamed from IST Associates--named for founders, Igor Khandros, Scott Ehrenberg and Tom DiStefano--to Tessera, the Latin word for "tile," for the closely stacked packaged chips that resemble a tile mosaic. Will Arizona be a Democratic State by 2035? Are Teachers' Unions Bankrupting States? Richard Wolff: "Capitalism Hits the Fan"